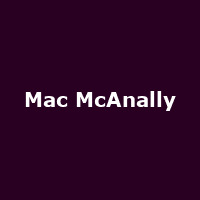 Mac McAnally is American award-winning country music singer-songwriter, session musician and record producer, Lyman Corbitt. As well as releasing music under his own name, his has worked with the likes of Kenny Chesney, Sawyer Brown and is a member of Jimmy Buffett's backing band, The Coral Reefer Band. He released his debut eponymous album in 1977.